The SPC issued a 10% (ENH) risk for tornadoes across much of North Texas, extending southward to San Antonio. 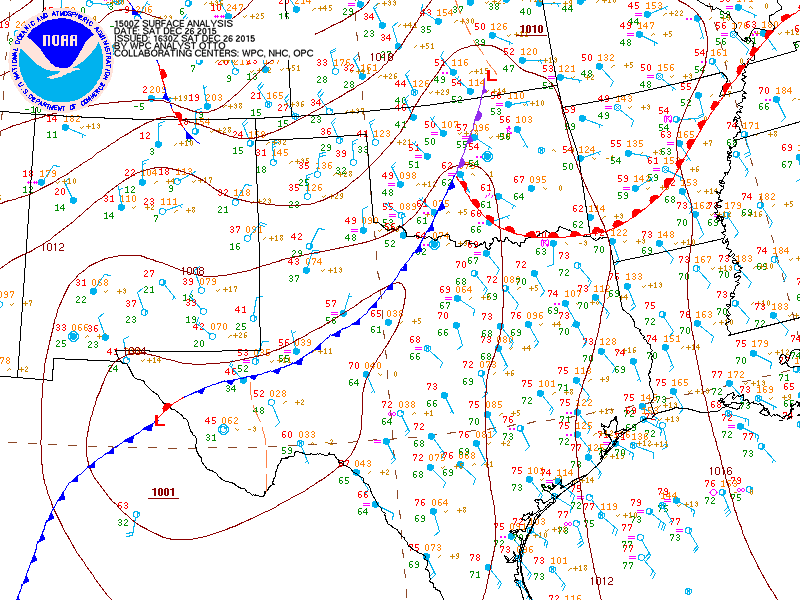 Cold front across western North Texas extending southwestward to developing low pressure southeast of El Paso, TX. Triple Point (Occluded, Warm, and Cold Fronts) in Southern/Central Oklahoma.